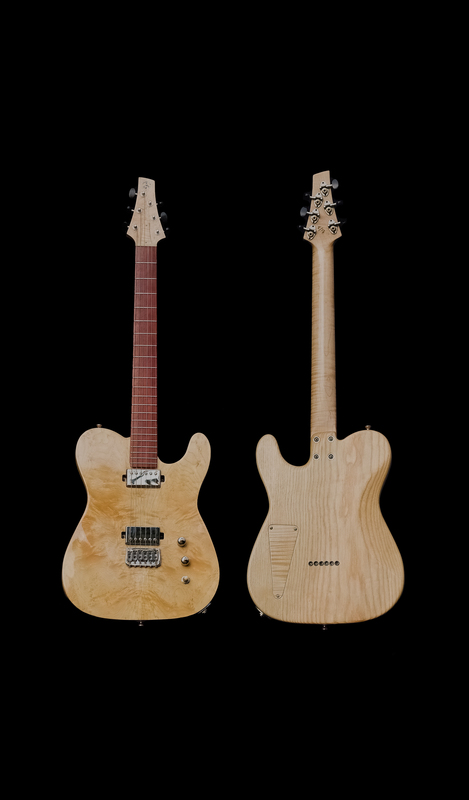 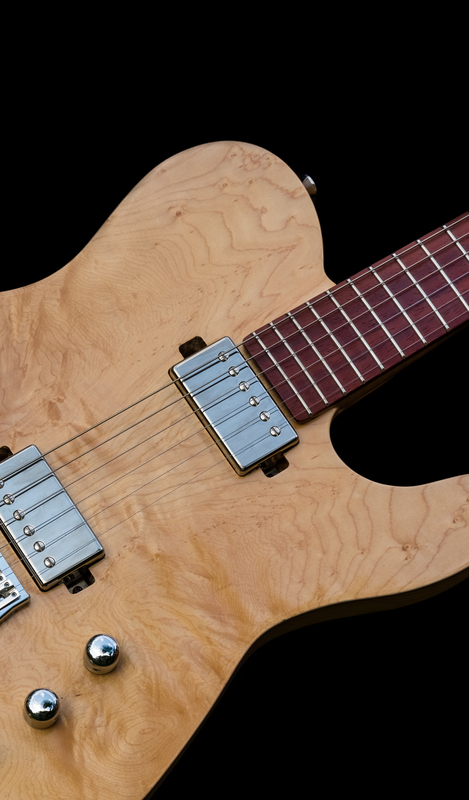 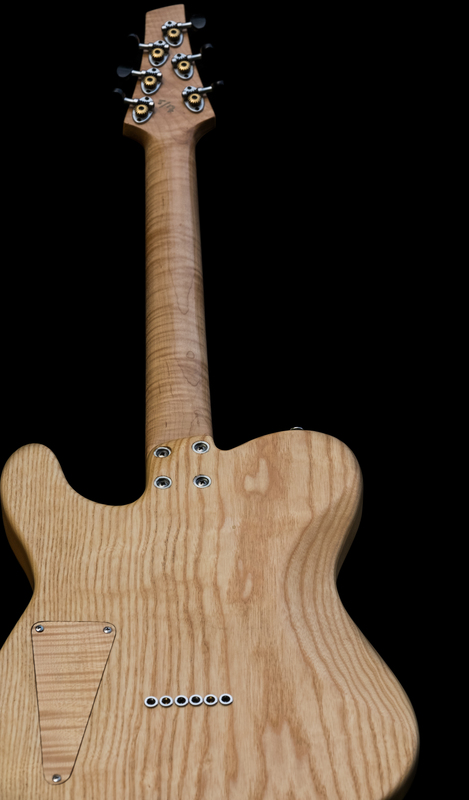 Swamp ash body, “marble” poplar top. 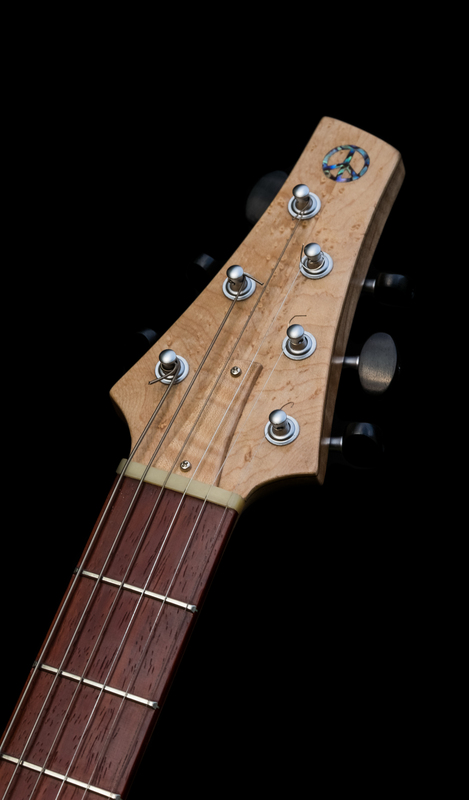 Flamed maple w\padouk fretboard. 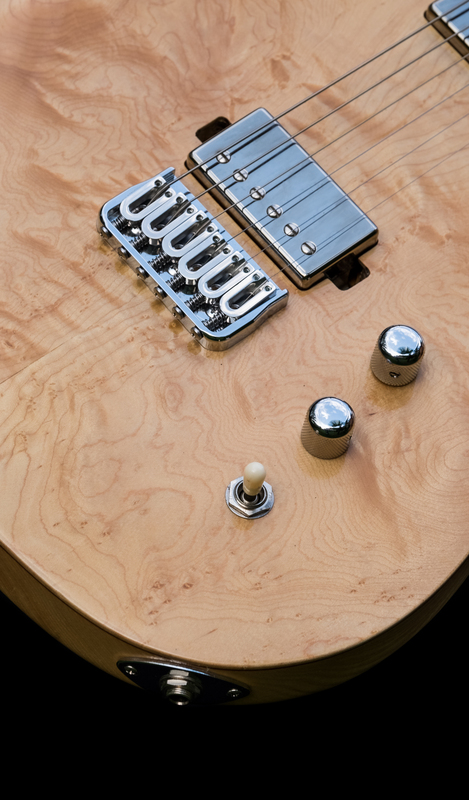 ’59 humbuckers. 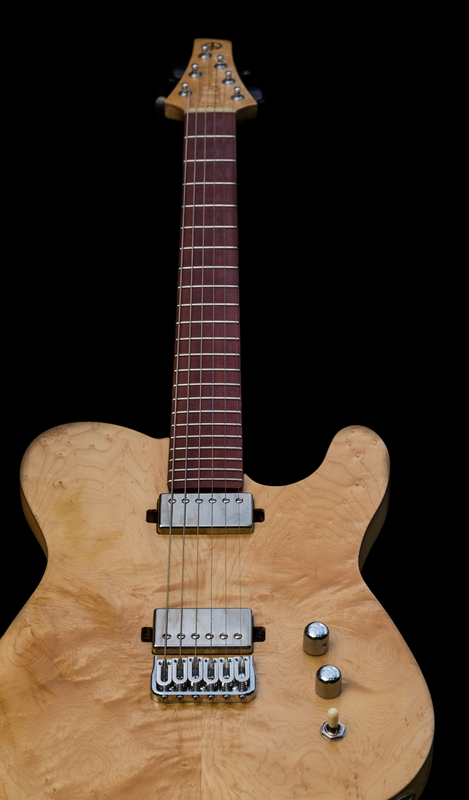 Schertler tuners, Hipshot bridge.